Over the last three decades, DRB-HICOM Group has evolved to emerge as one of the important engines of growth for the nation with the strength of more than 54,000 people. DRB-HICOM Group’s businesses span across three core sectors, namely Automotive; Services; and Property, Asset and Construction. This enables us to actively create synergies as we form strategic alliances with respectable global brands. At DRB-HICOM, our growth and expansion plans have always been in tandem with creating mobility and employability for talents and leaders, offering them the unique possibility of acquiring varied work experience across a portfolio of diversified businesses. In line with our expansion, DRB-HICOM Group provides opportunities for dynamic talents with the tenacity to take on challenges and drive performance, to excel and forge ahead in their careers. Hence, we invite dynamic individuals, to be part of our diversity, shared culture and unified purpose. 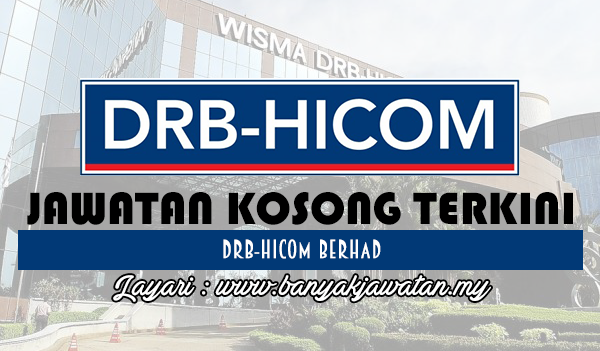 0 Response to "Jawatan Kosong di DRB-HICOM Berhad - 28 February 2018"